Here you'll learn all about me: my interests and hobbies, the people in my family, my pets, and more. I'll even included a list of my favorite links to other sites. After retiring from the NYPD, I worked as a Private Investigator for several years. Then I was offered a chance to work in Bosnia as part of an International Police Task Force (IPTF). I was a Captain in the IPTF and worked as a liaison officer with the United Nations and the various army units assigned as part of a Mult-National Peace keeping force. After a year of seeing man's inhumanity, and the mass graves from ethnic cleansing, I returned home to my PI work. I am a professional Dive master and have been fortunate enough to teach many students and dive all over the world. I will include folders with pix of my many scuba adventures. I am also an avid sea kayaker and motorcycle enthusiast. I belong to the Blue Knights Bronx Chapter, and the Star Touring of Westchester Chapter 199. Several work related injuries finally took their toll, so now I am an aspiring author. Barracuda is the first of, I hope, many novels. I am single, once again, and have a wonderful cat named Mr. McGillicuddy. I am new to this website business, so bare with me until its up and running properly. I will add a blog so that I can communicate with you. Since my life revolves around murder and mayhem, I tend to read books and watch TV shows that deal with the same. I also love the exciting adventures of Clive Cussler's books. Nelson DeMille always astounds me with his police knowledge, quick wit and thrilling stories, so I really enjoy his books as well. I spend most of my time writing, riding my cruiser motorcycle, sea kayaking, scuba diving in exotic locations, and socializing with friends. Recovering from a gunshot wound he’d received while in the line of duty, NYPD Detective Mick O’Shaughnessy is in need of some relaxing time away from the big city. A vacation in the peaceful, scenic Bikini Atoll, a scuba diver’s paradise, could be the panacea to heal his wounded leg as well as his shattered nerves. Then again, maybe it isn’t. The Majestic Resort Hotel, unfortunately, does not turn out to be the bastion of tranquility Mick had hoped to enjoy. Immediately upon arrival, Mick inadvertently finds himself dropped in the middle of an international money laundering operation, a territorial feud between the island natives and the resort developers, and an impending mob war between the Russian Mafia and the Japanese Yakuza. If that weren’t nerve-wracking enough, the many years of nuclear testing that had taken place in Bikini Atoll after World War II have had an unusual effect on the sea life in the lagoon—and the freakishly large mutant barracuda who dwells there perceives all scuba-diving tourists as lunch meat. Barracuda is a fast-paced story in which international intrigue, environmental catastrophe, and the sense of cultural pride collide. Even on vacation, Mick O’Shaughnessy is a detective at heart, and he refuses to fly away from the chaos in this island paradise until all questions are answered and feelings of safety and justice take over the atoll. The historical significance of the location and the underwater depictions in Barracuda are well researched, with the story incorporating the history of Bikini Atoll in the years after World War II, authentic scuba-diving knowledge, and proper police procedure into its plot, characters, and scenic detail. 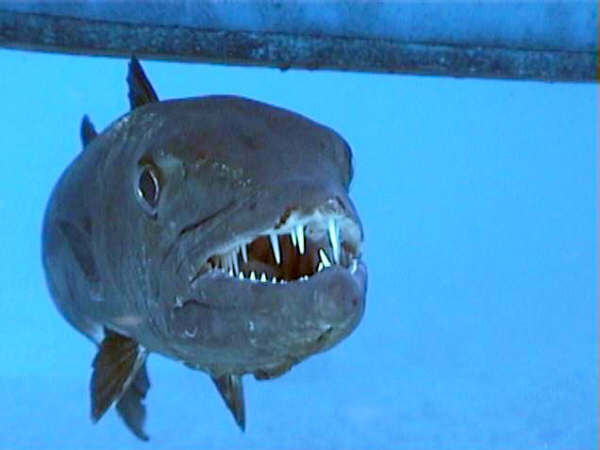 Barracuda will be enjoyed by readers who appreciate the aquatic action of Jaws, the mob intrigue of The Godfather, and the police procedural sense of The Onion Field.